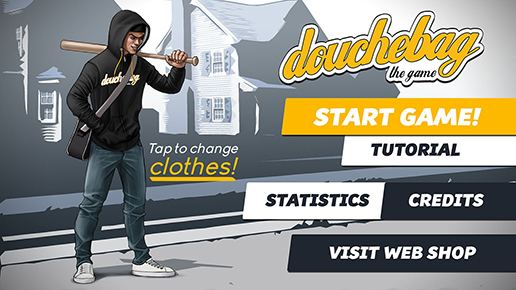 DOWNLOAD - DOUCHEBAG THE GAME! Smashing mailboxes, trash cans and fireposts with a baseball bat, throw eggs at pedestrians. Avoid neighbours and the police. If you’re caught it’s game over … unless you can bribe your way out of trouble. The game is free and is available both on iOS and Android. You’ll find it in App store, Google play and Amazon Appstore! Sign up for our news letter and get pre hand information, updates on new arrivals, contests and more.